Preheat oven to 375. Spray shallow baking dish with coconut oil. 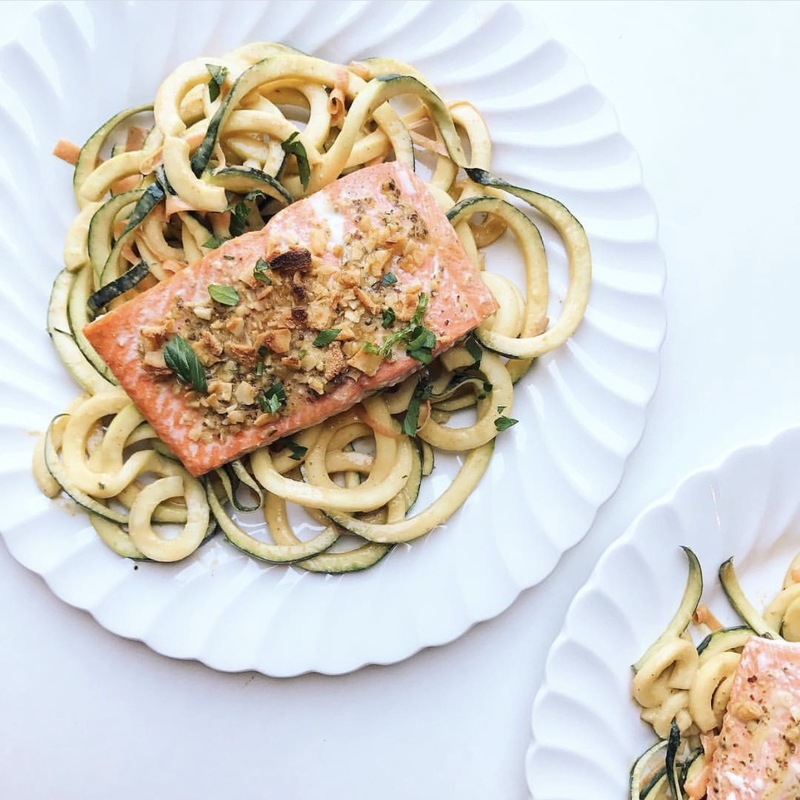 Place salmon filets in dish and coat each filet with mustard, fresh ginger and coconut chips. Bake for 8 minutes then broil for 2, watching closely. While the salmon is baking, spiralize zucchini. Blend all dressing ingredients in NutriBullet and toss with zoodles. Let sit for a few minutes, then toss again. Plate when zucchinis are fully coated, top with salmon and enjoy!